A luxury superstrat with glossy sunburst, golden hardware and a short headstock is a priori everything I hate! Life and guitar making are unfair. At first I wanted to write a few easy jokes about this Hofner S7L (it can be used as a paddle then to cook pizza, etc.) but I have to admit that I like its kind of simplicity mixed with originality, and how it assumes to be mere a plank turned into a guitar - few guitars can go with that! Also you can use it as a spade. I'm always happy to show photos of these beautiful guitars from Veleno. (Please excuse the fact that I've obviously rotated the picture by 90 degrees to the right, but the guitar looks better onm the page this way around). These guitars are made entirely from aluminium and have a real ruby inset in the face of the headstock. This particular guitar as pictured is for sale, so if anyone is seriously interested in buying it please contact me and I will pass on the current owners details to you. Also, bear in mind that these guitars don't come cheap! Another borderline guitar, a classic and so-so ESP design but made of exotic wood with natural finish, wooden pickguard, knobs and pickup covers, this is the Exotic Forest Custom that I found in the custom gallery of the russian ESP website. 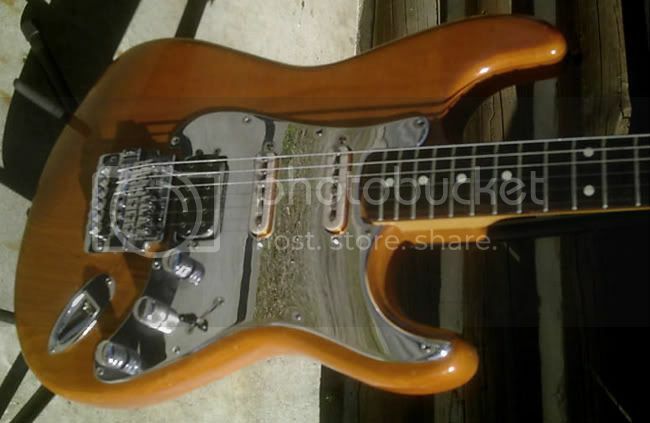 Don't you think that any cheap stratocaster copy looks cool with a chrome pickguard ? 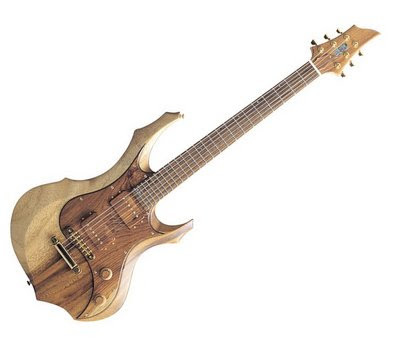 This is a truly conceptual guitar ! 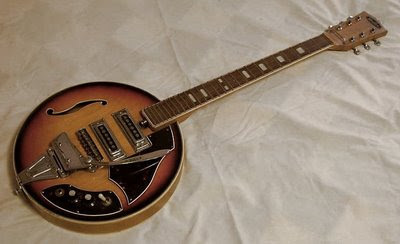 Too bad that its round shape makes this Japanese vintage guitar look like a banjo, because this one-off semi-hollow makes an amazing demonstration: you don't have to be overly complex to be bizarre, being just radically simple is enough. 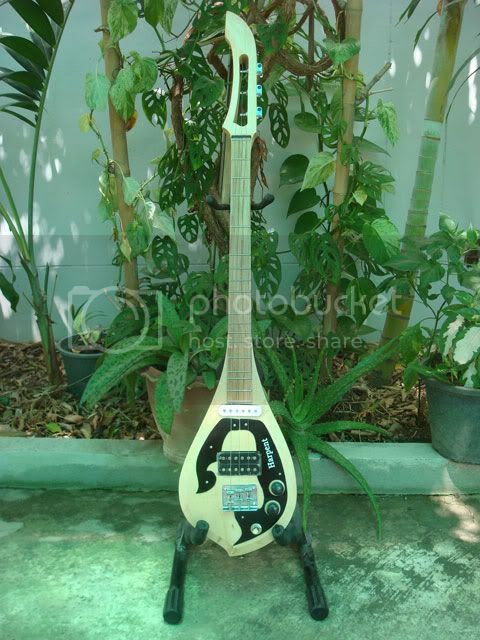 This is an electrified version of a traditional Thai 3-stringed folk instrument. You can see from the positions of the frets that this is a diatonic instrument, and reminds me of the mountain dulcimer, Strumstick and similar instruments. It's tuning can vary depending on what key you want to play in. 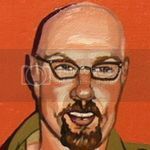 For example, for Am the strings would be tuned E-A-E.
My name is Scott Gentzen and I'm another guest blogger here at the Guitar Blog. 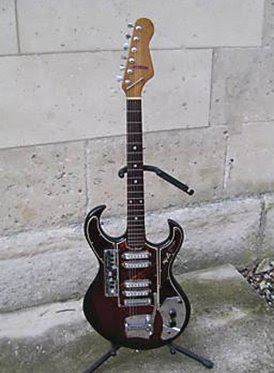 I was drawn to this blog by its pictures of fabulous vintage oddball European guitars with much knob and switch goodness. 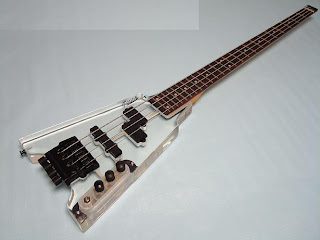 I also have a thing for horrible design, modern designs with interesting new ideas, and mangled beat up vintage guitars. I haven't been as productive as the other guys yet, but will do what I can. This thing apparently is new and unplayed, but definitely has that 80s vibe with the small body and no head. The clear lucite body is a bonus. No holes in it though. 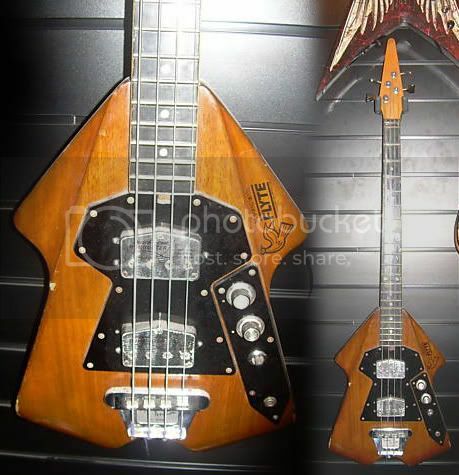 I'm not a bass player but if it was a guitar I don't know if I'd even be able to play this...with the small body and no headstock but it looks way cool. Recently, just out of curiosity really, I've been looking to see what unusual guitars there are for the lefties, hence the Vox Clubman II that we looked at last week, and today's guitar: a vintage Wilson Sapphire. 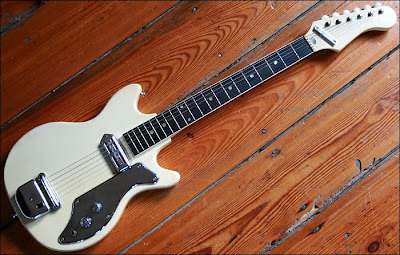 Like the Vox, this is a 1960s-era British guitar. Unlike the Vox, this one should be well-made and playable. The fact that it has a truss-rod cover up on the the headstock implies it has an adjustable truss-rod, something that the cheapie Voxes never had. The guitar somehow looks typcially British. The design is reminiscent of Burns guitars. (If someone out there knows of a connection, please let me know). Wilson Guitars were later on bought out by Watkins Electric Music (WEM), better known for their amps as famously used by The Who and for their now legendary Copicat tapeloop echo machines. Back in the day (the mid 1980s), my friend Paul had one of these - a Roland G-77 Bass Synth - complete (unlike the one for sale here) with the hefty synth unit that sat on the floor and which this thing plugged into. We nicknamed it, the Dalek's Handbag, and Paul found a hologram of a dalek which he stuck on the front between the two jazz bass pickups. This of course was the bass companion model to the Roland G-707 guitar synth, although the bass was superior in a couple of ways. It had individual analogue to digital converters for each string unlike the guitar which had one for all the strings and so the tracking was much better, and it had a slightly more sensibly-designed shape so that you could actually balance it on your knee when playing it sitting down. When Paul sold the bass, somehow I ended up with the hard case, which I used for many years for my bass that I had assembled myself from parts bought from Brandoni guitars. 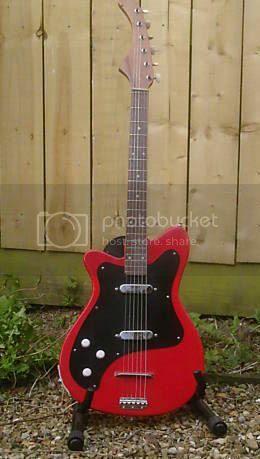 Recently I've seen quite a few of these 1960s-era Vox student-model guitars on eBay, and very often they are priced totally unrealistically. This Vox Clubman II, albeit in the more unusual left-handed layout, has a starting price of £200. It's cheaply put together-tat, a 1960s exercise in jumping on the guitar bandwaggon. The Vox guitars to look out for are the Mark series, the Phantom series, and from the 1980s, the Japanese-built Standard and Custom 24s and 25s and possibly the White Shadow. There are some nice-looking 60s-era semis too, which might be worth checking out, but beware of the plywood-bodied student models such as the one pictured. It might be "vintage", it might be "rare", but that doesn't mean it's going to be playable. A more realistic price for a guitar such as the example featured here would be nearer the £50 mark - possibly a little more for a left-handed model. (I converted my one to fretless, BTW). The trouble with mirror front guitars such as this Godin Radiator is that you can't sell it discreetly on eBay since when you take its picture your face shows! Still it has this ultra classic elegance of Godin's products, a mix of Telecaster and Les Paul that still has its personality ; I'm amazed by designers who can do that! And the mirror gives it the edge that its classicism lacks. 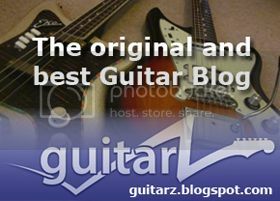 I have too much fun posting on Guitarz, I should work a little bit more on my own blog ! I really love switch buttons on vintage Italian guitars like this Bartolini - with its 4 pickups, there are quite some combinations to set... The scroll potentiometers are quite cool too, I sometimes wonder why knobs became standard on guitars in the last 40 years. Today I will present this guitar made by Roter Custom Guitars, a custom shop somewhere in Poland (until I checked I didn't know it was in Poland, their website is in English, they could have been in New Jersey like Krappy Guitars, another local shop I found on the Internet). First when you go to Roter's website and check their custom gallery, they have like anybody else 90% of stratocaster or superstrat clones, plus a couple of SGs and a few copies of BC Rich models (and not the good ones) - same in the bass section. But if you click on Extended Range Guitars, you will find more interesting things, such as this 7-string Wintersun. The design is on the edge of ugly, but on the good side, where it's called daring... The beveled body is made of Wenge with a beautiful slightly sunburst black transparent finish, and it looks like it's going to bite! That's the guitar of Riddick! The seller describes this as an egg-shaped guitar but seems to know little else about, and I confess, neither do I. I'd guess it was early 20th Century but other than that I have not a clue. The neck appears to be very thick depth-wise and features a rather ornate carved headstock. A very interesting-looking instrument. My host here at Guitarz stated several times how much he appreciates semi-hollow body bass, and so do I. 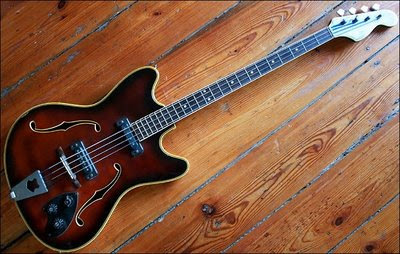 And even better if it's some East-european vintage beauty like this incredibly elegant Musima/Migma bass from the sixties (from he same eBay shop than on my previous post). 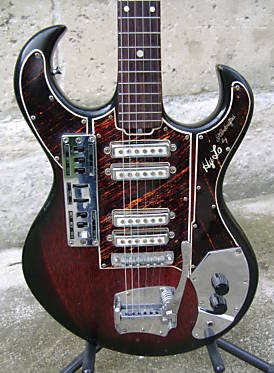 Couldn't find any information about it on Cheesy Guitars, the reference site for communist era electric guitars. I can just precise that Musima was the main guitar company in DDR - and one of the best in East-europe - and Migma being a sub-brand that used many similar parts, it's difficult to identify the precise brand on early instruments. It's still always good to have a check on Cheesy Guitars though. 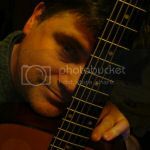 Hello, I'm Bertram from gUitarREN, I was invited to post on Guitarz, and I'm honored to answer to this invitation. 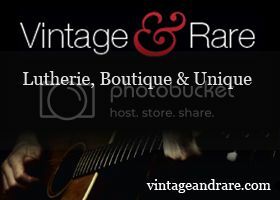 There is a German eBay shop that offers some good vintage guitars, mainly East-european and Japanese ones. For now I selected this beautiful Kawai from the 60s - there is no more information about it, but just from its look you can see it's special (and also it's in a very good state for such an old lady). Kawai is an unfairly underestimated guitar brand, probably because they stopped making guitars before Japanese production was rehabilitated and Japan acknowledged as a great guitar nation - now Kawai is a respected piano company. I like everything on this guitar, the one neck pick-up (mini humbucker? ), the bridge cover, the solid neck joint, the strong headstock, the metal pick-guard, the shape that is classic without cloning any famous design... I wish I could hear its sound! (I also like the typically Berlin wooden floor on which the guitar is photographed). 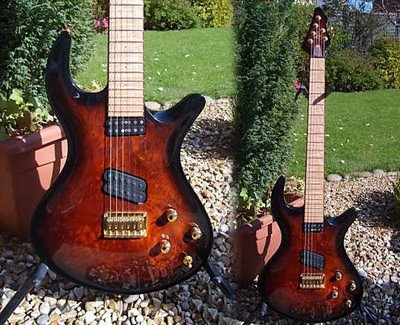 Further to my recent post about a Burns Flyte Bass that had turned up on eBay, now I see that a Japanese seller has put up for sale its 6-string counterpart, the Burns Flyte Guitar. This one has the silver finish that I previously mentioned I preferred to the other option of a natural finish, and it looks to be in very nice nick generally. The scratchplate has been cut at the rear that suggests the bridge has been changed perhaps. Whatever, I'd love to own one of these babies but simply don't have that sort of money. Additional (Saturday 16 May): Why are all these Burns Flytes suddenly coming out of the woodwork all of a sudden? Here's another one! Guys, I'm going through rather a difficult time right now and might not be able to post blog items as often as I'd like under ordinairy circumstances. Please bear with me. If I don't blog for a few days, it doesn't mean I've thrown in the towel. Alternatively, if you ever fancied a spot of guest blogging, NOW is the time to volunteer. This is genius! Regular Guitarz reader, Andy Stone - he who built the "Les Pew" guitar, the Pew Bass, and this rather tasty 12-string electric amongst other guitars - has built this home-made rotary speaker as demonstrated in the above YouTube clip. Andy's a very resourceful chap, often building his various projects from whatever bits and pieces he has to hand. The rotary speaker includes parts made from Roses chocolate tins and an old school chair! That's some very inspired recycling going on there. 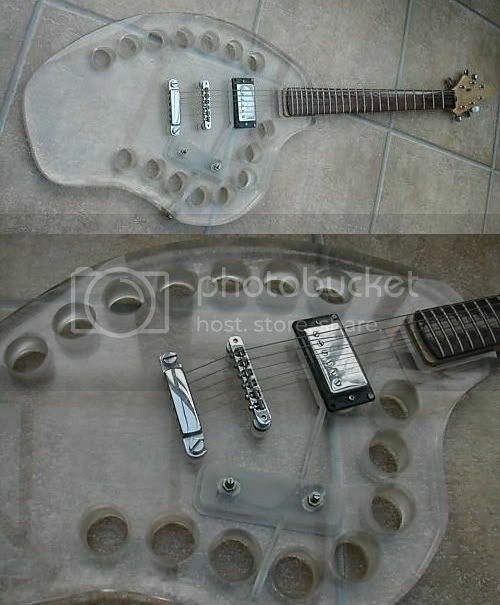 Just when I was beginning to think that there were no more truly weird guitars being put up for sale on eBay, along comes this one-off weird-shapped acrylic guitar from the 1970s. Hey, it's see-thru, it's full of holes (regular readers will get the reference), what's not to like? It's rather a weird shape though. Slightly reminiscent of the 1960s-era budget Vox Apache model. To my mind, it resembles a jellyfish. Les Paul Six String Bass? Surely Not? Remember the "rare four string electric guitar"? Well, I've just found the perfect partner for it, namely this New 6 String Bass black electric guitar excellent (allegedly). I haven't really got an "angle" for this post, only to say that I've always had a soft spot for short-scale basses, think that hollow-bodied basses are cool, and that this Burns Baldwin Vibraslim looks to be just the type of bass I'd like to own, although I don't like it that much that I'm going to shell out the asked for £900 Buy It Now price. 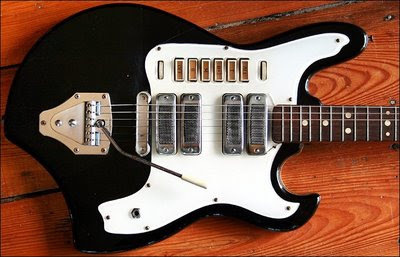 From the late 1950s the Dallas Tuxedo was the first British made solidbody guitar to hit the market. Sophisticated design with through neck construction. Solid mahogany. This is the two pickup model with Rangemaster tremolo. Original case and leather strap. This guitar was found in an attic in Wallasey, just over the Mersey River from Liverpool, and not far from the Tower Ballroom. 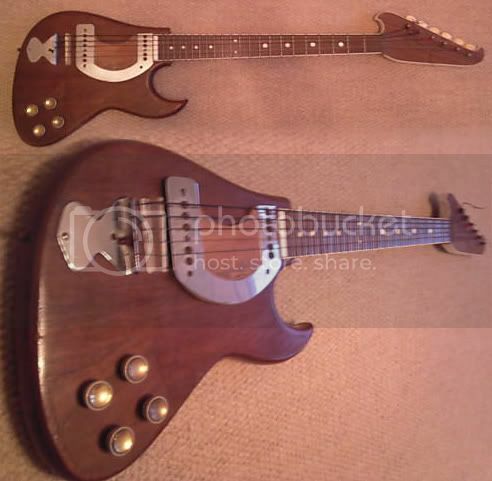 A guitar just like this was found in the attic of John Lennon's home in Woolton, Liverpool. 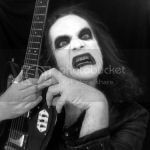 He is purported to have owned and played it. Probably purchased from the same music store as this one! So, a tenuous Lennon connection. I wonder what it'll sell for? The Burns Flyte has long since been one of my favourite designs, but I know that as players they weren't to everyone's taste. There were a guitar and a bass model and were specially designed by Jim Burns to minimise feedback, something which some people perhaps wouldn't have wanted minimised! This Burns Flyte Bass is on eBay right now - they don't turn up for sale very often - and has a Buy It Now price of £899. Oh, how things change! I remember not so many years ago you couldn't GIVE these guitars away, and recall a conversation with a London music shop owner about such guitars ending up being thrown into a skip. 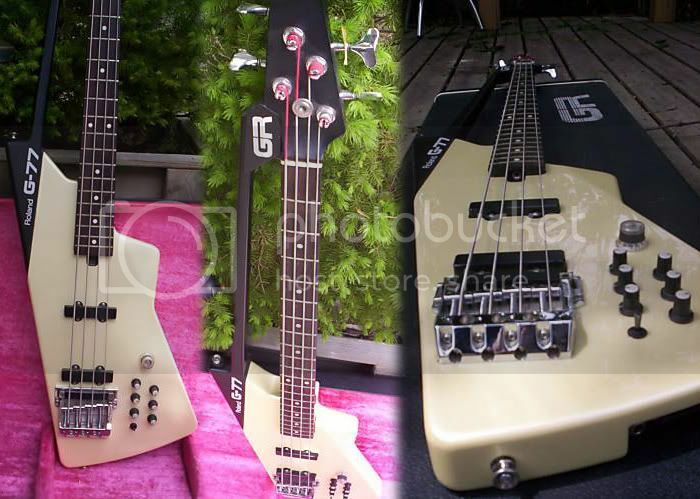 I have to add that I prefer the silver finish to the natural finish on the bass featured here. 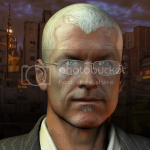 Silver looks much more Sci-Fi and given the shape seems more appropriate. The old silver Flytes often end up fading to a dull gold colour over the years. I know that Burns have re-issued these guitars in more recent times, but they just don't have the same vibe. They are no longer made in the UK (a sign of the times), and the shape has been modified with a lower cutaway on the body which completely spoils the lines of the design in my opinion. 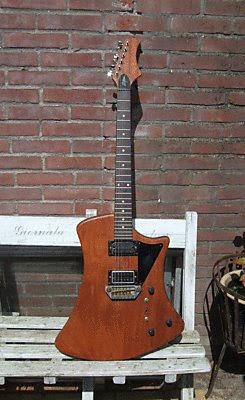 This rather odd guitar was on eBay recently. It has the appearance of an instrument that someone has taken a saw to, but the seller implies that it was built this way by a luthier. The pickups are quite unusual in design, both being housed in a U-shaped piece of metalwork. I wonder if this assembly was taken off another guitar. Any ideas, anyone?